In 1987, the Robotech animated series was adapted into novel form by authors James Luceno and the late Brian Daley and published by Ballantine Books. 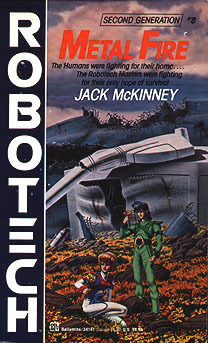 Having previously collaborated on the animated series Galaxy Rangers, the pair's Robotech novels were released under the unified pseudonym of "Jack McKinney". Using fictitious epigraphs in the style of Dune, McKinney's novels escaped the limitations inherent in the dubbed cartoon and fleshed out its chronology in greater detail;most significantly, by adapting the storyline of the aborted sequel project, "The Sentinels". The entire series lasted for twenty-one books, the first fifteen of which were later collected into five three-book omnibus compilations in the early 1990s. The original twelve novels were written to a tight twelve-month deadline, so that the books could be released one per month. Under this deadline, Daley and Luceno divided the Robotech timeline into twelve segments and worked on different segments simultaneously (i.e. Daley wrote Book 1 while Luceno wrote Book 2), then traded completed manuscripts for revision and style adjustments. 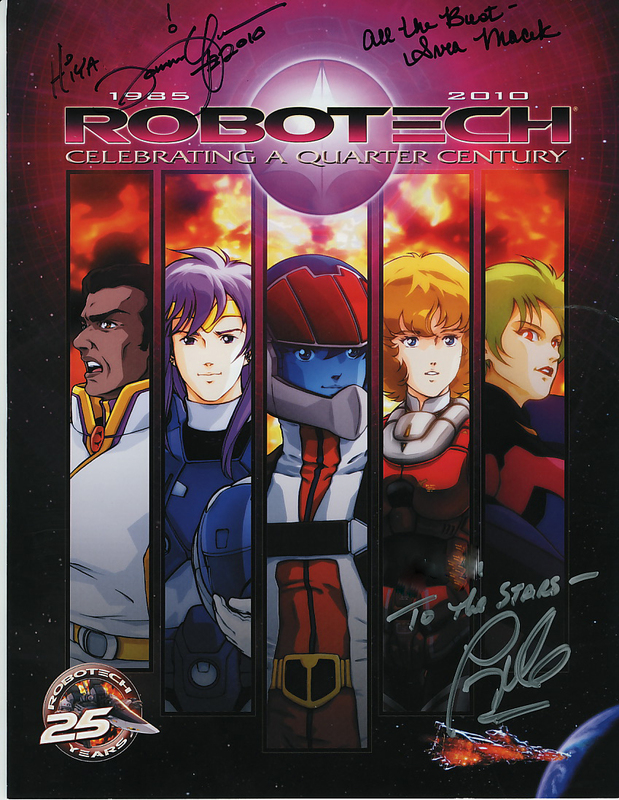 Subsequent revisions to the timeline of Robotech by recent comics and the animated move Robotech:The Shadow Chronicles caused some continuity clashes with the McKinney novels, which have relegated the novels to a "secondary" position in Robotech canon. Despite this, the first 12 novels (collecting the novelisation of the TV series) have been recently re-issued by Del Rey Books in four three-book omnibus collections. Changing Protoculture from a power source and a hallucinogenic foodstuff for genetic engineering into a mystical force akin to the Force in Star Wars, that, through its "Shapings," manipulated the destiny of the universe. Stating that Robotech's mecha are controlled by the pilot's mental imaging via a "thinking cap" (a la Firefox or the later Macross spin-off Macross Plus), in addition to the joysticks and pedals seen in the show. Using a chronology that is slightly contradicted by dialogue from the show. The divergences can be explained partly by a lack of translated source material from the original shows—meaning that the writers could only go by what was seen on the screen and the materials they had been given—and partly by a desire to tie the series together even more completely than the television show, sometimes by including material that never ended up being animated. In particular, the "Shapings of the Protoculture" enabled this unification, serving as the deus ex machina to Robotech's Greek tragedy. It should also be noted that at least some of the elements for which the novels have been criticized were directly suggested by Carl Macek during Daley and Luceno's consultations with him. *2 : Authors 【James Luceno】 and the late 【Brian Daley】.